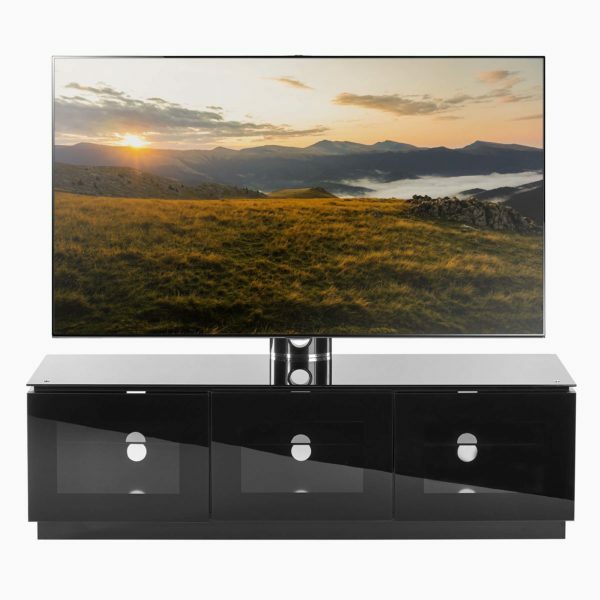 The Rio MMT-CB55 is a modern & stylish cantilever TV stand finished in black with black glass shelving. Comprising of a 3 shelf base unit and a rear extension pole to mount your flat screen television on, the MMT-CB55 offers the practicality of a traditional stand, coupled with the “on the wall” look that the VESA mounting bracket provides. Great stand, very sturdy soild as a rock, well made and easy to assemble, good delivery and first class customer service. My 42" Sony Bravia And PS4 fit like a glove, very happy customer.